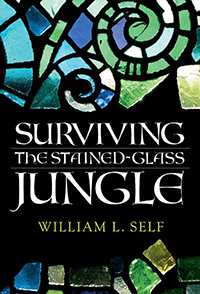 Surviving the Stained-Glass Jungle is a compelling and positive look at the parish ministry through the eyes of a veteran pastor of more than fifty-three years. The book directly confronts the issues of burnout, conflict, stress, and social concerns. It gives strategy and practical help in navigating through these difficult currents. Self addresses the usual themes of preaching, administration, and pastoral care, but also gives practical help with the issues of the pastor's own mental health and self-care. This material is written for parish leaders of all mainline denominations and will become a standard for the practice of ministry. The general theme of the book is that the church is worth the effort. The target audience is seminarians and veteran pastors alike in order to encourage them in the task. Laymen would also benefit significantly by reading this book, gaining a better understanding of the ministry. Self has a national reputation as a gifted preacher, pastor, author, lecturer, motivational speaker for corporate America, and innovator in church growth.